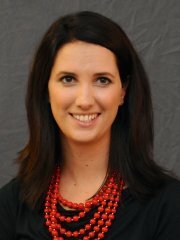 Adria Shipp is an assistant professor in the Department of Educational Leadership, Policy, and Human Development at North Carolina State University. Her research interests include using technology for counselor education and supervision, school-university partnerships, and diffusion of innovations in educational environments. She has been working for 14 years in public education, including elementary education, school counseling, and counselor education. Her latest projects include the development of a school-based community health center in Alamance County, NC and projects related to innovations in counseling, teaching, and research. My research centers around innovative ways to make counseling, teaching, and research more accessible. Exploring the process of Diffusion of Innovations, as well as social networks, is a means to better understand the process of innovation adoption. Furthermore, my research with public schools is aimed to help schools better serve traditionally under-served populations through innovative approaches to common issues. For example, the development of a school-based community health center in one rural community impacts numerous targeted academic and health outcomes within the community.